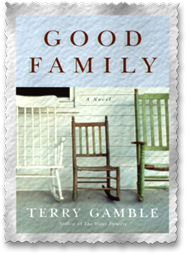 Terry Gamble is the author of the new historical novel The Eulogist. 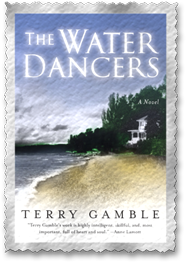 She also has written the novels Good Family and The Water Dancers. She lives in Sonoma and in San Francisco. 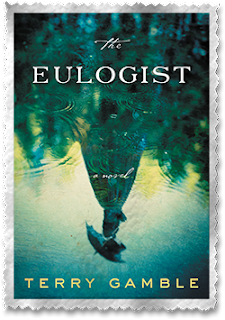 Q: How did you come up with the idea for The Eulogist, and for your character Olivia? A: The genesis for this book literally came from digging up the ancestors. Their exhumations occurred in the last decade of the 19th century, but I came across the receipts for the bodies when going through my father’s desk after he died in 2004. Olivia, along with her siblings, had traveled to Ohio from Ireland as children, and in 1890, their bodies were exhumed from various churchyards to be replanted in the Olmstead-designed Spring Grove cemetery in Cincinnati. I had traveled to Cincinnati several times for book readings and family weddings and was intrigued with the city that was hardly a village when my ancestors arrived on a flatboat 200 years ago in 1819. These questions led me down a rabbit hole involving slavery, evangelical Christianity, immigration, gender, race, class – many of the issues we are dealing with today. Olivia came to me almost immediately as I started writing, although she wasn’t originally the narrator. Rather, it was her nephew William recounting the story. But Olivia’s personality was so strong, and my editor Jen Brehl encouraged me to rewrite from her point of view. A: As with most research these days, I started poking about online to get a sense of what life was like in that particular place at that particular time. I had no idea how interesting Cincinnati was or how it embodied the zeitgeist of Jacksonian America. Frankly, I knew little about Jacksonian America, but soon enough I was reading Francis Trollope and Alexis de Tocqueville’s writing about democracy, and Cincinnati in particular. The Underground Railroad Museum and the Cincinnati History Museum in Union Station held a trove of information. I invited myself to Civil War Roundtables. I acquainted myself with re-enactors. I drove up and down the Ohio River, spending extra time in Ripley, Ohio and Maysville, Kentucky – two main stops on the Underground Railroad. I read as much primary source material as I could get my hands on – diaries and letters – and learned about candle-making by visiting the archives of Procter and Gamble. In New York, I visited Cooper Hewitt, the design museum of the Smithsonian in Manhattan, to learn about the fashion of the time. I even traveled to Ireland to see the kind of village my ancestors came from and the ship log of the Lucretia on which they sailed to America. My best book sources were Ann Hagedorn’s Beyond the River as well as an early piece of writing by an African American hairdresser, along with a book from the 1940s called Slavery Times in Kentucky. The shelf over my desk held books on autopsy, graveyards, gas lighting, theology, fossils, and hat making. I was constantly surprised. The 19th century was such a clash of science and superstition, of freedom and repression. A: I don’t write from an outline – and even if I did, I’m sure it would change along the way because the very act of writing challenges one’s presuppositions. The only constant held from the inception of this book was that the bodies needed to be laid to rest. I came across the story of a white woman being sold as a slave in several sources recounting how Calvin Fairbanks arranged for her purchase in order to liberate her. 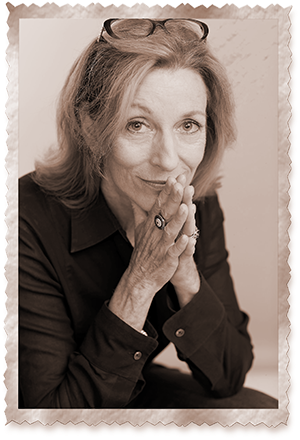 Of course, the level of outrage was correlated with the lightness of her skin, but that episode, along with Harriet Beecher Stowe’s Uncle Tom’s Cabin, did more to engage the sympathies of the white community than much of the misery that had transpired over the previous two centuries of slavery in America. A: The original title was The Illuminator because the family makes its fortune in candles. I thought it was a perfect title until I Googled it and saw it’s been used, like, a hundred times. For a while I considered The Resurrectionist because of the digging up of bodies, and “resurrectionist” is the term used for grave robbers. Again, it’s been used. I believe I was reading about sermons and memento moris such as the little skull with angel wings used in the section breaks of the book when the “eulogist” came to me – the one who gives the eulogy at a funeral or memorial service. My editor and I had a back and forth about it, my defense being that it was an intriguing title and a bit ambiguous, which I like. A: It’s so nascent. All three of my novels have been intergenerational family histories set in the near or distant past, but now I’ve been playing with a story set in the not-too-distant future. The current climate lends itself to dystopia, and I may need to get it out of my system. My son is a game-designer, and we always discuss how alliances can be forged through game-play. Since I’ve played few video games, it’s challenging… but then, I never lived in a time when there was no electricity, and I inhabited that world for 10 years writing The Eulogist. So why not create a virtual world in conjunction with a real world that is ever so slightly out of whack?